What's the equivalent of a golden ticket to Willy Wonka's chocolate factory for sports fanatics? How about a golden ticket to the Super Bowl for the rest of your life? But since we're talking football here, the lucky ticket isn't in fact a ticket at all. 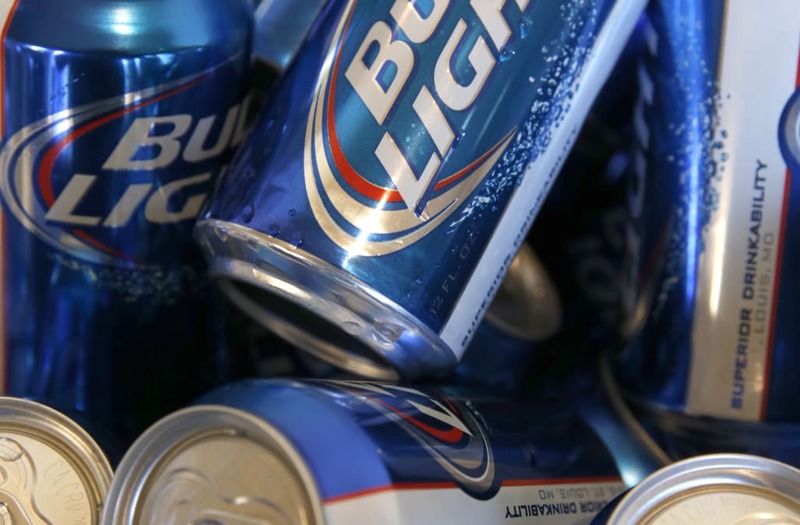 Anheuser-Busch is taking it to the next level by hiding 37,000 golden beer cans across the packs of Bud Light across the country. The packs will hit stores on November 28 and hopefuls will have the chance to win the cans up until January 13th. The eligible cases will be Super Bowl-themed, featuring the words "Strike Gold" on the packaging, which will span 18, 24, and 30-can boxes of 12 oz. Bud Lights. California is the only state where the special-edition cans won't be sold. If your lucky enough to find yourself with a golden can, it doesn't mean an automatic win, unfortunately. In order to win a pair of Super Bowl tickets for life (up to 51 years), hopefuls can take a picture with their golden can and post to Facebook, Instagram, Twitter and BudLight.com using the hashtags #Sweeps and #SBTix4Life. Six winners will be chosen each week to win a pair of season tickets for the NFL team of their choice, with one grand prize winner being chosen the week of January 13, 2017 (Super Bowl week of course) to win a pair of Super Bowl tickets for life. So if you needed an excuse to grab one extra case of your favorite beer after work this week, consider yourself in luck. May the odds "beer" ever in your favor!